Come watch a West Coast-East Coast all Canadian battle at The Rec Room with Puck Talks! 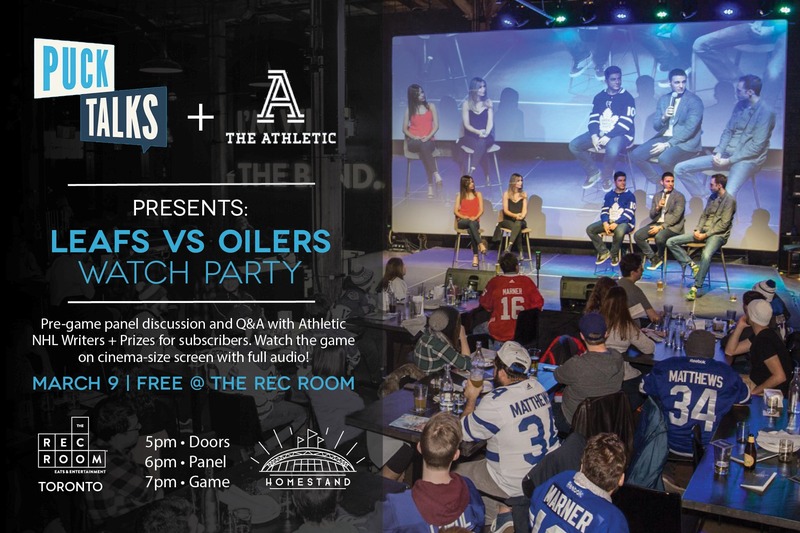 Event will include a pre-game panel featuring hockey experts from The Athletic Toronto plus the game on the big screen with full audio. Free with RSVP.